Eleaf Tessera Kit, which consists of Tessera Mod and Ello TS Atomizer, will be no doubt give you excellent vaping experience. The large 1.45-inch TFT color screen will show status of vape clearly and advanced UI system with different theme colors adds color to your life. Eleaf Tessera Kit, which consists of Tessera Mod and Ello TS Atomizer, will be no doubt give you excellent vaping experience. The large 1.45-inch TFT color screen will show status of vape clearly and advanced UI system with different theme colors adds color to your life. In addition, it can fire up to 150W to deliver huge cloud and 2A quick charge is helpful for saving your time. Easy refilling will also bring convenient vaping for you. Just get it to enjoy vaping. • Three-month warranty for Tessera Mod and Ello TS Tank. • Quick link: Eleaf Tessera MOD. Ordered this Tessera Kit on a Wednesday and Buybest sent it out the second day, that's good! Finally received it in 10 days around, not bad. I was expecting a longer delivery since it's shipped from China. As for the product, it looks pretty and solid. It has some weight but not too heavy. Package is complete, just take all the items out of the box, set them up, fill with juice, then you are good to go! But don't vape at too high watt cuz you will go through e-juice too fast. When I ordered this Tessera kit, there is only one left of this color. And I got this at 10% off. Happy. The kit has many advantages that I love. I think I could use this eleaf gear for several years. Hope it won't make me down. Would buy other products from buybest, really nice and trustful site. Everything is great. Fast shipping, professional service, and most important, cheap price. Good job, buybest! Love the built-in battery design so I don't need buy batteries separately. All buttons are flexible, the large 1.45-inch TFT color screen with real time clock function is awesome. The Ello TS tank it comes with is convenient to refill and adjust airflow. Both do a great job, providing nice vapor and flavor. It's my daily companion, and I use it every day. Totally in love with my Eleaf Tessera Kit. 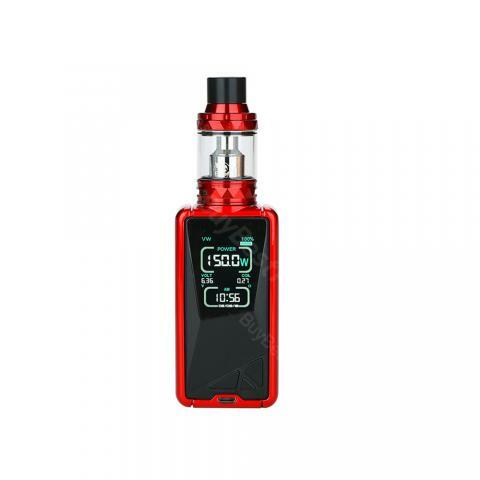 The big color screen is clear to display all vape data and even supports real time clock function. Charges fast and performance outstanding. Low price, yet original vape gear. Great vape! Honestly Love it . Im a beginner vaper but some of my more experienced friends enjoy it as well .Eleaf Tessera Kit very beautiful but also works well. Love this! Easy to use, easy to switch settings. 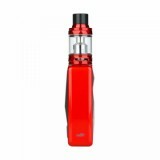 Makes great clouds,Eleaf Tessera Kit with Ello TS excellent experience. I think it's a right choice to buy this tessera kit. The kit's name is really hard to remember, lol. My vaping friend wants to buy one too, after he uses my eleaf kit for several times. I love this kit too, pure taste and huge cloud.